Cinema admissions for July 2014 were up by a whopping 12% on July 2013 in the Republic of Ireland, and one woman is largely responsible for d'increase! 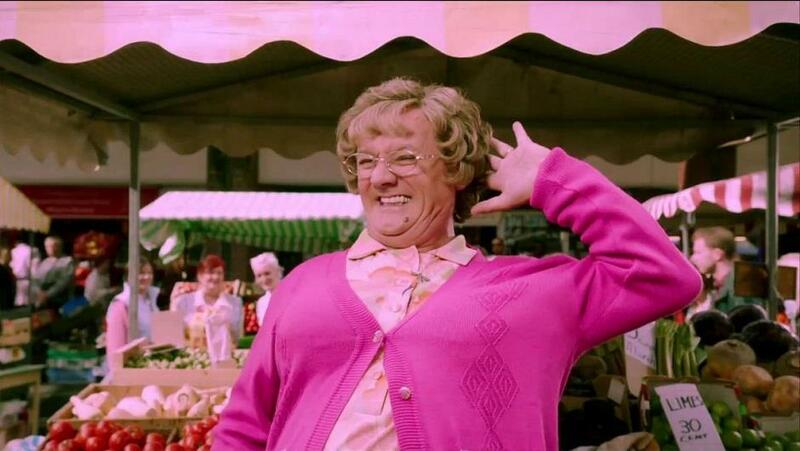 Mrs. Brown’s Boys D’Movie is now the No. 1 movie in Irish cinemas, taking €3.75 million at the box office to date (17th August) ahead of The Lego Movie and The Wolf of Wall Street. The movie, starring Brendan O’Carroll, is still on release. 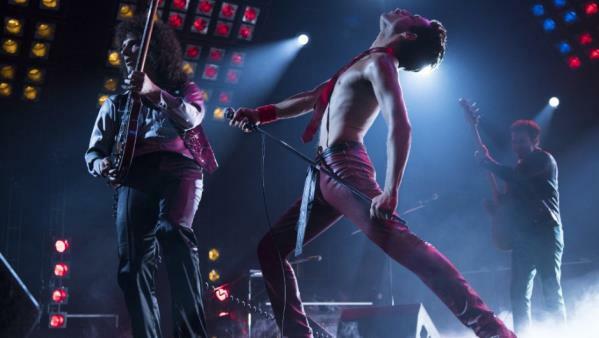 The effect is that cinema admissions are up by 1% on last year for the period of January – July 2014. So, who is the audience for Mrs. Brown’s Boys D’Movie? According to Wide Eye Media’s most recent ROI Film Monitor, women enjoy Agnes’ antics more than men, with the audience split46% male and 54% females. This is almost the reverse of overall audience split for this wave of research, which is 52% male, 48% female. 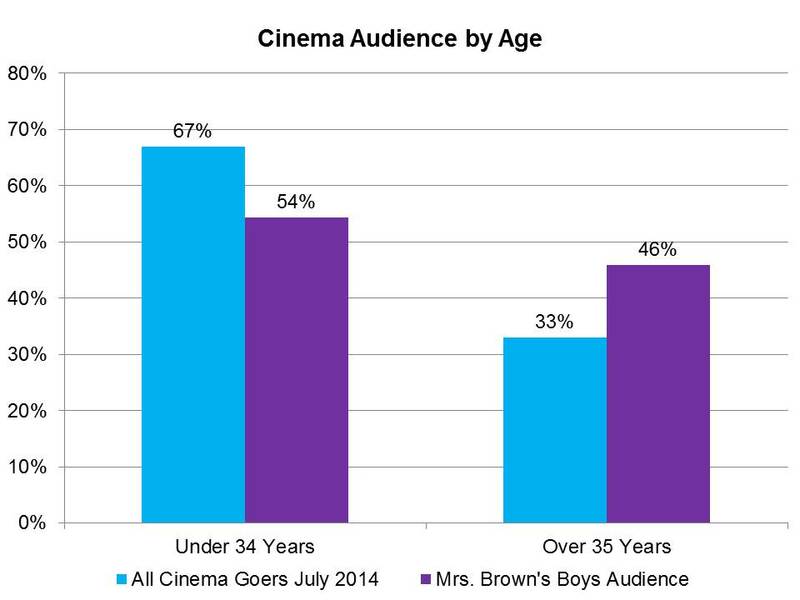 Her appeal is stronger with older cinema goers than the average movie, with 46% over 35 years, against a norm of 33%. 47% were ABC1, much in line with the norm of 48%. On the other hand, the highest proportion of any demographic to see D’Movie was 44% of all Males ABC1 18 – 24 year olds. 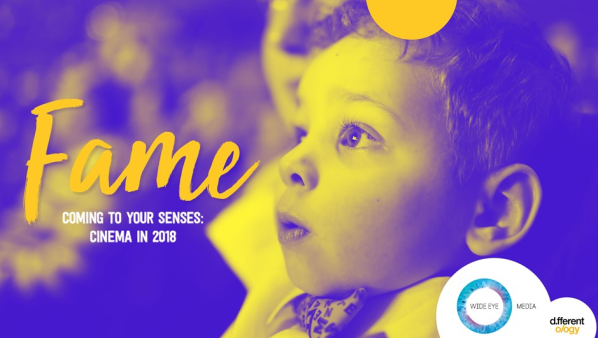 D’Audience was made up of 71% respondents living in households without kids, 53% living in an urban area, with 20% living in Dublin and 33% from the Rest of Leinster. ROI Film Monitor is conducted by Millward Brown as part of its omnibus research. 1,212 respondents were questioned in July 2014 and 30 movies were included. Other popular movies during July 2014 were sequels Dawn Of The Planet Of The Apes, Transformers: Age Of Extinction, How To Train Your Dragon 2, and cult sensation The Fault in our Stars. 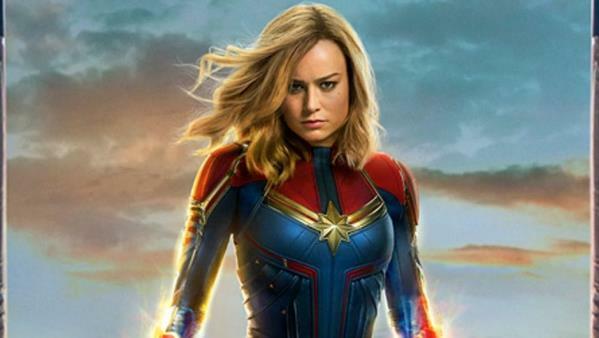 Wide Eye Media forecasts that admissions will continue to be strong for the remainder of the year, releasing its Essential 8 movies with which to advertise from September to December. The Essential 8 includes Gone Girl based on the bestselling book, The Hobbit: The Battle of the Five Armies, Interstellar starring Matthew McConaughey and The Hunger Games: Mockingjay Part 1. 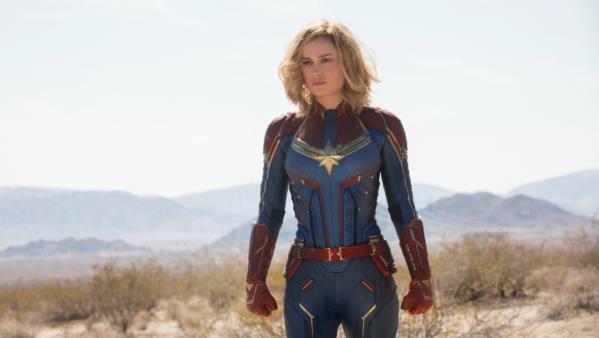 2015 is already shaping up to be another bumper year for Cinema, with new additions to theTaken, James Bond, Marvel Avengers, Fast & Furious, Mad Max and Star Wars franchises scheduled for release. Also hitting screens next year are sequels Pitch Perfect 2, Magic Mike 2,Ted 2 and Jurassic World, a new Terminator film, and the Minions from Despicable Me will get their own movie. Not to mention live-action versions of Cinderella and Peter Pan (Pan), and fairy-tale inspired musical Into the Woods - we can hardly contain our excitement!